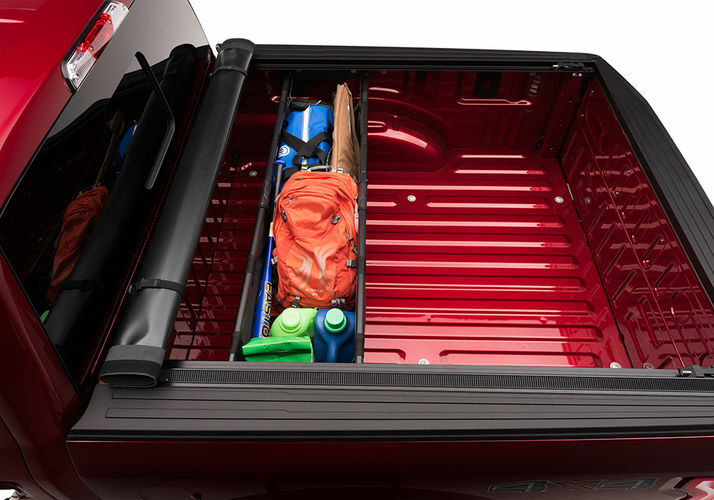 The Expedition offers you the utility of a toolbox when you need the extra storage. 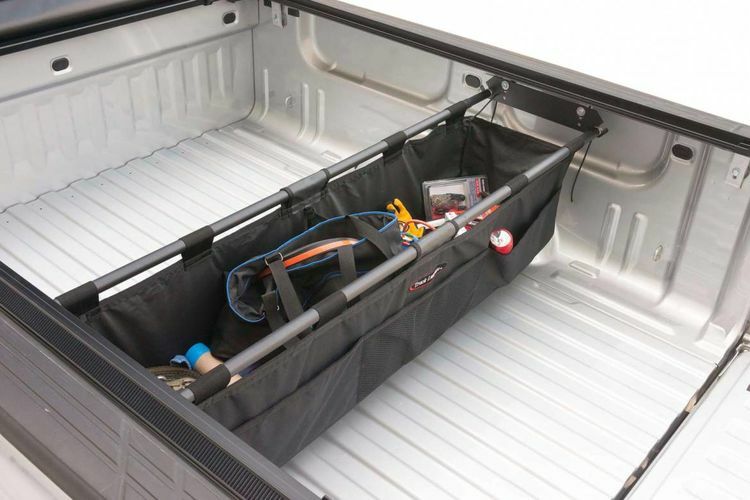 This rail-mounted cargo bag boasts eight cubic feet of extra storage space. 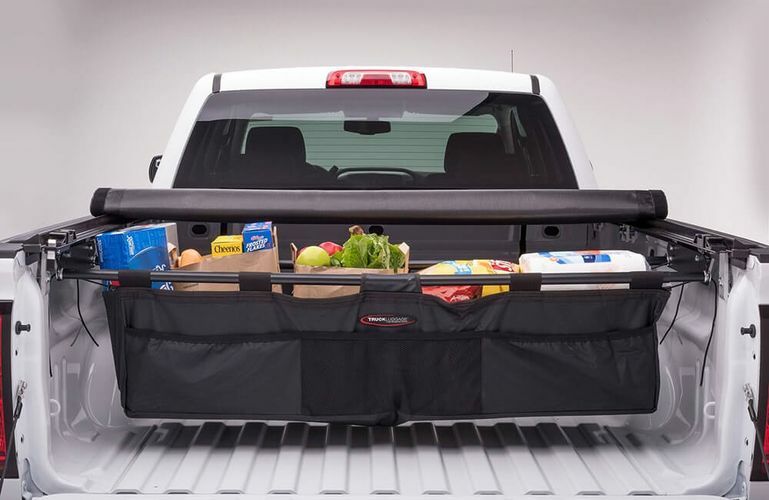 It's easily installed and fits most full-size truck beds. This weather-resistant cargo bag comes with plastic floor panels and inserts for customizable support and organization and also sports an open pocket in the front. 90 day warranty. 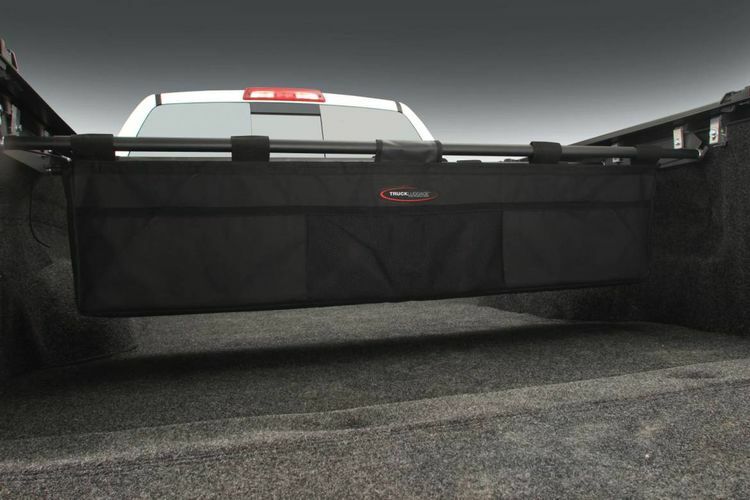 NOTE: The Expedition will fit any truck inside with width measurements of 57 3/8" or wider. Please feel free to make use of the BAKBox TruXedo Expedition by Truck Luggage installation instructions below to assist you with the installation of your TruXedo Expedition by Truck Luggage. could make hardware better with different design aluminum clamps are very clumsy to install.